Big Bay State Park on Madeline Island has a birding observation dock, maintains its birding trails, and has literature in the form of a bird checklist for Big Bay State Park and the Apostle Island. Over 240 species have been identified within the area. The checklist, which also provides information about bird abundance and occurrence, was compiled by the staff of the Apostle Islands National Lakeshore (Wisconsin Dept. of Natural Resources PUB PR-504 96). The Apostle Islands National Lakeshore, including Madeline Island, with its strategic geographic location and wide diversity of habitats, provides refuge for birds. The Apostles were identified in the 1950s and 1960s as one of the heaviest traveled migratory flyways in the Great Lakes Region. The Islands, including Madeline Island, reduce the distance birds have to fly over open water when migrating to areas north of Lake Superior. Birds are also able to find habitat on Madeline Island. There are large fluctuations in migratory volume from year to year, most likely due to highly variable weather conditions. The Island also provide important habitats for resident breeding birds as well as Neotropical migrant land birds (birds that migrate to Central and South America in winter). Over 89% of the breeding birds in the Lakeshore are migrants with 59% being Neotropical migrants. The Apostle Islands National Lakeshore established an annual breeding bird survey in 1990 in response to the growing need to document abundance and trends of Neotropical migrant birds in the United States. The Lakeshore provides important nesting habitat for the following colonial nesting birds: Herring and Ring- billed Gulls, Double-crested Cormorants, Great Blue Herons, and Cliff Swallows. Gull and Eagle Islands combined have 88% of the lakeshore's breeding Herring Gull populations and 80% of the Herring Gull breeding population on the entire Wisconsin shore of Lake Superior. The Lakeshore also provides nesting and breeding habitat for Bald Eagles and shorebirds, such as the federally and state endangered Piping Plover. 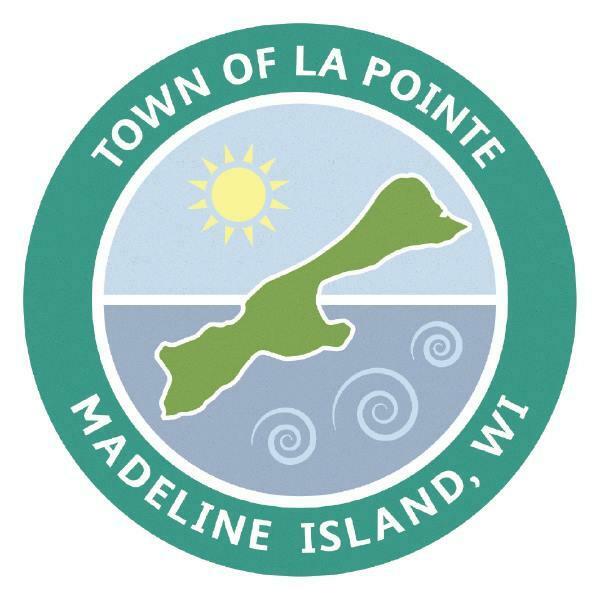 The Town of La Pointe has an invasive species control plan and the Madeline Island Wilderness Preserve also offers information and education on controlling and removing invasive species on Madeline Island in addition to carrying out their own projects. Big Bay State park is #1 on the Great Wisconsin Birding and Nature Trail's Lake Superior Northwoods Region Map. Located on Madeline Island, the largest of 22 Apostle Islands, this 2,418-acre park sports rugged wooded cliffs with dramatic views of Lake Superior. It contains a State Natural Area that is open for use by the public. Habitats include bogs, barrier beach, boreal forest and old growth hemlock. Signature Species: Common Loon, Merlin, Broad-Winged Hawk, Pileated Woodpecker. Rarities: Peregrine Falcon. For more information, read about the Park online or call 715-747-6425 (Wisconsin DNR). The Madeline Island Wilderness Preserve buys land for preservation. There are several guiding principles that determine what parcels they buy: they always buy inland land and almost always buy land that is adjacent to their current property. Research shows that wildlife does better with corridors of natural habitat, as opposed to isolated fragments separated by human activity, so the Preserve aims for large chunks of land. They currently own about 2700 acres, mostly in two large pieces, one on the south end of the island and one on the north. The Apostle Island Lakeshore protects and enlarges favorable bird habitat on Madeline Island. The area within Big Bay State Park provide important habitat for resident breeding birds as well as Neotropical migrants. The great majority of nesting forest bird species in the Apostle Islands are migratory. The lakeshore includes important migratory bird concentration points during spring and fall migration. The wide beaches of the Apostle Islands are the only places in Wisconsin where the Piping Plover has successfully nested in recent years. With the help of state, federal, tribal, and private partners, critical nesting habitat for this federally endangered species is now protected. Surveys are conducted in May to find nesting birds and fenced enclosures are established around each nest. These enclosures allow the birds ready access to the nest, but protect the nest from predators. An area around the enclosures is closed to the public to minimize human disturbance. The chicks are banded to allow easy identification. This helps determine where nesting birds are from and whether they’ve nested here before. The Ad Hoc Subcommittee Trails committee was formed with the purpose of developing and maintaining Madeline Island trails, they also developed a Trails Master Plan. The Town Crew does maintain the Capser Trail and other interested parties/users help to maintain the North End Trail and the Old Big Bay Road Trail. Most of the improvements in the Master Plan have been made. The Town has also placed informational signage along the trails, including birding information on the Capser Trail which is used for education by the La Pointe School and the public. Please let me know if you would like to see a picture of the signage. The city also supplies duck houses along the Capser Trail. The Nucy Meech Trail is also maintained by the Town of La Pointe, and provides a means of monitoring the spread of invasive species such as buck thorn and barberry. Bayfield Regional Conservancy (BRC) is an accredited regional land trust and is considered a viable conservation option by local governments, tribes, landowners, land managers, and local citizens in their service area of Ashland, Bayfield, Douglas and Sawyer Counties. Guided by strategic priorities and strategic conservation plans, and proactive outreach efforts, BRC has over 5,500 acres of high quality resources protected forever through conservation easements, land acquisition and/or conveyance, and other creative partnerships. To accomplish this protection work, BRC has a professional and full-time staff, interns, and a crew of trained, regular volunteers. BRC is a fun and dynamic and resilient organization where staff members work as a team with the board and volunteers to pursue the mission with creativity, purpose and enthusiasm. BRC is a financially self-sustaining land trust with eight hundred to one thousand members, seventy-five active volunteers, BRC are in partnership with MIWP’s 2600 acres of land on the island. The largest parcels are at the South end of the island, close to town, and the far North end of the island, where the very first land in the preserve is located. Their focus is to preserve lands in the interior of the island contiguous to other preserved land. The Casper trail, North Section, Big Bay Town Park, and Big Bay State Park all have sections of trails that include bogs, barrier beach, boreal forest, and old growth hemlock. Brochures to publicize the “Cats Indoors” program that helps educate the public about the problems associated with free roaming cats are available at the public library and the Chamber of Commerce. 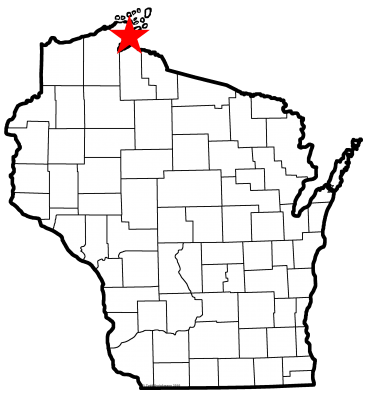 Links to the American Bird Conservancy “Cats Indoors” program as well as information from the Wisconsin Society for Ornithology and Wisconsin Humane Society have been established on the websites of the Town of La Pointe and the Madeline Island Chamber of Commerce. The Madeline Island Chamber of Commerce's website provides a copy of the American Bird Conservancy's brochure that contains tips on reducing the threats that windows pose to birds. The websites of the Town of La Pointe and the Madeline Island Chamber of Commerce provide links on backyard habitat on their websites. The Madeline Island Wilderness Preserve has many guided bird watching trips each year that are open to the public. F. Demonstrate that your community participates in a community solar program or that a municipal building receives a significant percentage of its electricity from renewable energy. The Madeline Island Wilderness Preserve presented a seminar titled "Warm, Wet, and Windy: Adapting to climate change on the Apostle Islands”, on July 5th, 2017 at the Madeline Island Museum. This featured speaker Dr. Randy Lehr, Co-Director of the Burke Center for Freshwater Innovation. This presentation discussed results from ongoing research at Northland College’s Burke Center for Freshwater Innovation that is focused on understanding the Chequamegon Bay and Apostle Islands ecosystem. Lehr highlighted the potential impacts of climate change throughout the region and discussed how communities might adapt to life in a warmer, wetter and windier climate. Each month, the Ashland Daily Press publishes an opinion column initiated by the Chequamegon Chapter of the Wisconsin Citizens' Climate Lobby to educate the community about the impacts of climate change, including this article written by a community member regarding Climate Change on the Madeline Island Ice Road. "Lake Superior: Climate Change, Culture and Natural Resource Management,” is a two-credit online course in spring 2017, and a one-credit field experience in summer (Aug. 14-19, 2017). According to Nancy Turyk, a water resource scientist at University of Wisconsin Stevens Point, the coursework focuses on Lake Superior because of the changing environment and the diverse ways land mangers view climate change in the area. After experiences in Ashland and Bayfield, the students’ coursework will culminate with a camping trip on Madeline Island, where they will present results of group projects. Apostle Islands National Lakeshore supports Madeline Island and plays a significant role in supporting the parks greenhouse gas reduction goals. As such, when appropriate, Apostle Islands National Lakeshore staff assists Madeline Island with incorporating climate change messages into community events and finding partners to promote climate change education at those events. Park staff uses their knowledge of climate change resources to help Madeline Island engage in climate friendly actions. J. OTHER: Demonstrate in a narrative. The Alternative Energy Committee was established by the Town of LaPointe as an Ad Hoc Committee of the Community and Public Works Planning Committee (CAPP). The committee was established by the Town Board after two years of inquiry and presentations by individuals with experience and interest in alternative and renewable energy. The committee is the manifestation of strong and serious interest in renewable energy technologies by Madeline Island residents and property owners. The Alternative Energy Committee is now known as the Energy Committee. Its purpose: To make recommendations to the Town Board for actions that will decrease energy use, increase efficiency of energy use on the island, suggest ways energy could be produced in a sustainable way. Address all energy consumption by private property owners and municipal operations; help coordinate energy planning with Town, School, Sanitary District and utility; encourage public involvement; make information available to the community. October 21st, 2017 IMBD was celebrated on Madeline Island during the Family Fall Festival. The day featured a speaker from the Madeline Island Wilderness Preserve who discussed the spectacular events in the life of a migratory bird -- its journey between its summer and winter homes. The event also featured a guided bird watching tour on the Capser Trail, free bird house making activity for children and adults, and handouts that helped all in attendance learn about stopover sites near their home, where to visit one far away, and how create a safe place for birds in their backyard... explaining how their support can mean a safe journey for migratory birds. Kayaking at Big Bay Town Park lagoon.